Life has a funny way of teaching us lessons. Sometimes things are brought together, and sometimes things break apart. I've learned that there is beauty in both. If you haven't already figured this out from the title, this post is directed towards the children of parents who are divorced or separated. 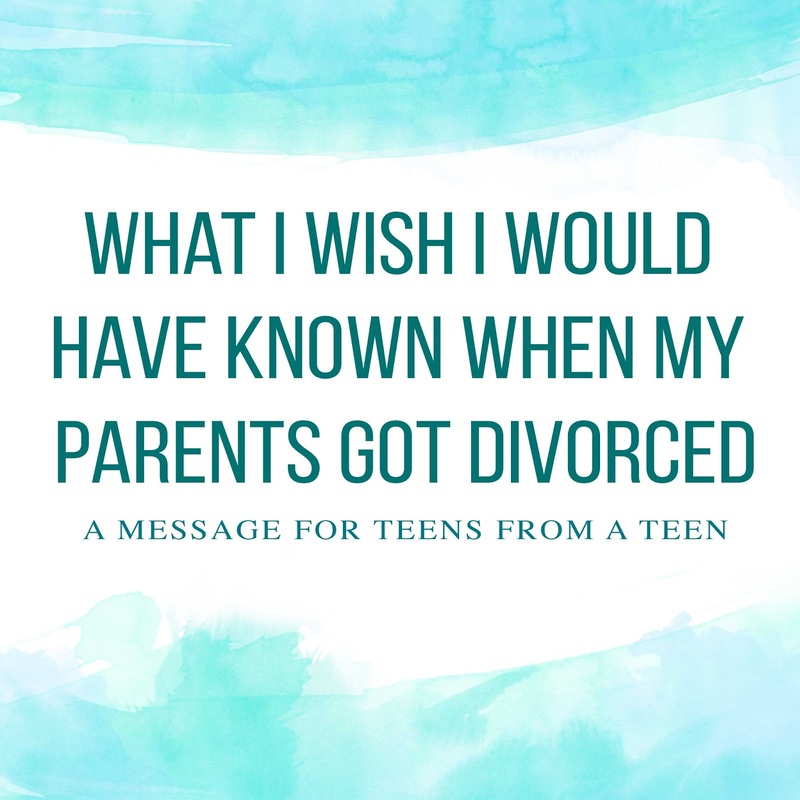 While I realize that I am no expert, child psychologist, or certified counselor, I am a teen who has been and is living through what you're experiencing for over seventeen years, and if it's alright with you, I'd like to share some things I've learned along the way. 1. Your parents' relationship does not define your worth. Or theirs. One of the hardest things about my parent's divorce was the way people treated us afterwards. In the blink of an eye, we went from being well-liked and respected to being labeled as incompetent sinners. Gossip swirled throughout church and school (and still does), insensitive comments were made, and friends that were once close became distant. No matter what people say, however, know that your worth is not based on your parent's relationship status or on other people's opinions. God's opinion is all that really matters, and He knows, understands, and has compassion for you and your family's situation. Most of all, He loves you all with a perfect, unchanging, and unconditional love. I know, it's often the first thing people say and it might seem cliché or over-stated, but it's something that has taken me a long time to accept. I think that when things go wrong, we often reach for some sense of control, even if that means heaping blame, undeservingly, upon ourselves. 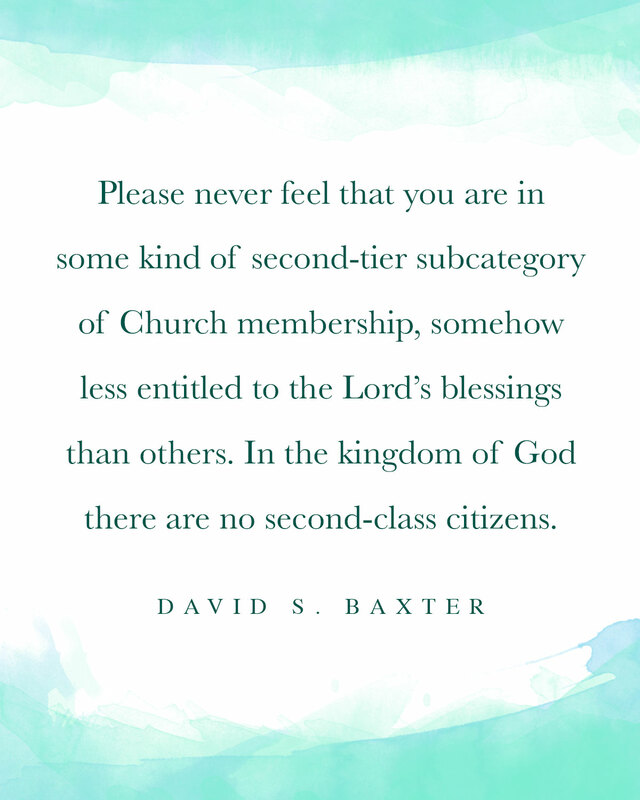 As the Third Article of Faith states, you are not responsible for your parent's (or anyone else's) choices. Letting go of that feigned sense of control is scary, but the healing it offers is so, so worth it. 3. You don't have to have a perfect family to be happy. It can seem like in order to be happy, you have to have that picture-perfect-white-picket-fence-American-Dream-type existence, but the truth is, no matter what your circumstances are in life, you can find joy in the journey, now. ALL of God's blessings, including happiness and joy, are and will be available to you if you keep enduring faithfully. And with that. . .
4. It's okay to cry and be angry sometimes. Some days are going to be hard. Remember that happier times will come, but don't feel guilty if some days you need to have a good cry, scream into your pillow, or just eat some ice cream out of the carton with a spoon. 5. It's okay to be happy, too. -- just find a healthy activity to keep your mind occupied and boost your spirits. It works wonders. 6. Sometimes change is good. Honestly, things got better after my parents separated. Yes, there were challenges like changing schools, moving, and working out new budgets, but all in all, they were both happier, and it was nice not to have to walk on eggshells or listen to fighting anymore. 7. Things will get better. "There is help. There is happiness. There really is light at the end of the tunnel. It is the Light of the World, the Bright and Morning Star, the 'light that is endless, that can never be darkened.' It is the very Son of God Himself . . ."
8. Families can still be together forever. Even if things are messed up on earth now, the Millennium gives us a whole thousand years to work things out. Remember that then, and for all of eternity after that, there will be no pain or sadness. No matter what, in the end you will be happy, and your parents will be too. There are many accounts of people receiving instantaneous feelings of forgiveness, and while I do not doubt those experiences are true, it doesn't happen that way for everyone. Don't beat yourself up if forgiveness takes time. It's a process. 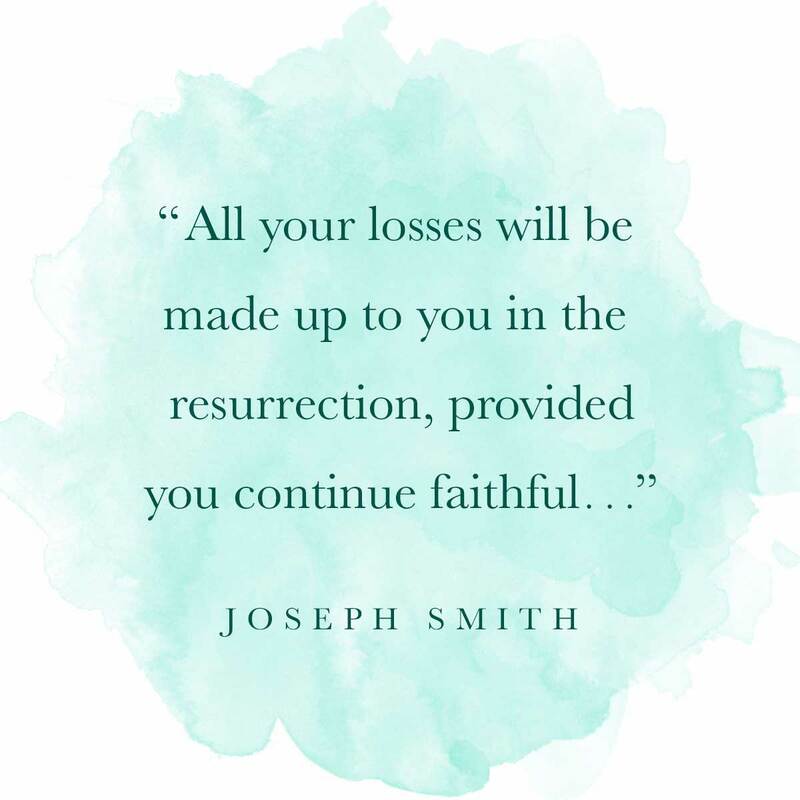 As you apply the atonement of our Savior, Jesus Christ, to your life, you will find healing. Pray for peace. Pray for love towards your family members. It might not come as quickly as you'd like, but it will come eventually, and it will be worth it. Especially within the church, it can often feel like you're the odd one out. I remember being teased constantly because my family was different than the other children's. I felt left out when we had daddy-daughter Primary activities because I didn't have a Dad to bring. I wondered who would baptize me and wished someone would take us camping or give us Priesthood blessings when we were sick. Most of all, I longed to know someone who understood what I was experiencing. It turns out, there was someone-- Jesus Christ. Even if you don't have an earthly Mother or Father who chooses to be active in your life, you do have a Heavenly Father and Mother who love and care for you. In fact, they love you so much that they sent their only begotten Son to die for you. The Savior himself knows how it feels to be rejected, made fun of, and tormented. He has felt our every pain, heartache, and sorrow (see Mosiah 14:4). Remember that when it feels like no one could possibly understand what you're going through, He does because He's been through it too. Literally. Best of all, because He took upon himself our burdens, we don't have to carry them alone. He invites us to come unto Him and find rest, and the peace He offers is real. It transcends every sadness and every worry and can heal even the most broken of hearts. The journey is different for everyone. I wish I could tell you it's easy, but frankly it's not; however, I can honestly say that I wouldn't trade the experience -- awkward church activities, sleepless nights, custody battles, and all -- for anything. This trial has taught me to be a stronger, more compassionate, and more loving person, and someday you're going to look back and see all the amazing things it brought about for you, too. One of the things I love most about God is that He can take even the most gruesome, ugly experiences and bring good out of them. Keep holding on to that good. With the Savior's help, you're going to make it. Thank you so much for this post! Getting personal can be scary, but I think you did a great job! My friend is going through a divorce right now, so it is helpful to see how he may feel. Thank you! Thank you, Meg! You are so right-- looking back, I can totally see how much harder it would have been had they stayed together. I'm sorry you had to endure that pain for so long! Thank you for stopping by and for your sweet comment! I remember always struggling during those lessons in Primary, but I absolutely love the way you covered those concepts! It is so awesome of you to be so considerate of the children's various needs!